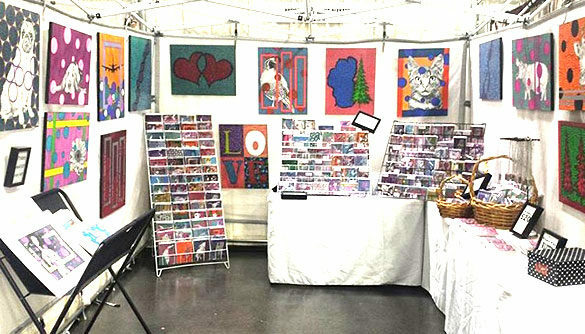 I had the opportunity to visit the Sacramento Arts Festival at the Convention Center this past weekend. It was so much fun that I’m honestly kicking myself for never having gone before. There were so many cool vendors and art and knick knacks. I am very much a patron of the arts and I just loved being able to see people’s creations. By being at the Sacramento Arts Festival, I actually felt like I was contributing to the development of the arts or something. I have a quick tip for those who get hungry easily or who want to spend a long time at the Sacramento Arts Festival. They do sell food there so my advice is just to go, plan to eat there, and make a day of it. Trust me, you will find plenty to eat! Most noteworthy, one of my favorite things I purchased was from Earthstones Art. 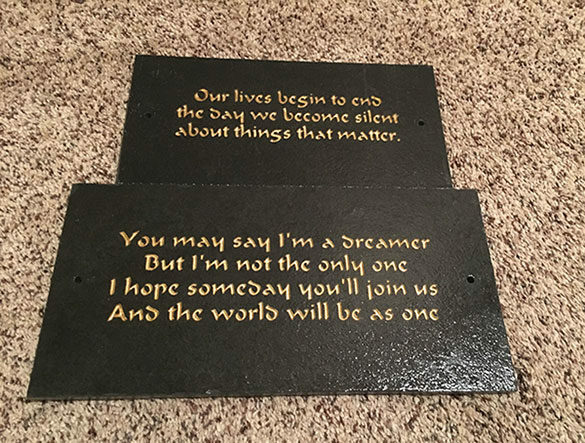 They create these amazing slate pieces with words or sayings on them. I could not resist the temptation. Therefore, I bought one that had Dr. Martin Luther King junior’s quote “Our lives begin to end the day we become silent about things that matter.” I also bought one with the words to John Lennon’s Imagine. Artisticle by Aimee Alexander had a lot of cool pieces. I almost bought the painting that says LOVE on it. I really like Aimee’s style. It’s very modern art but it appeals to me even thought I’m usually conservative in my art taste. 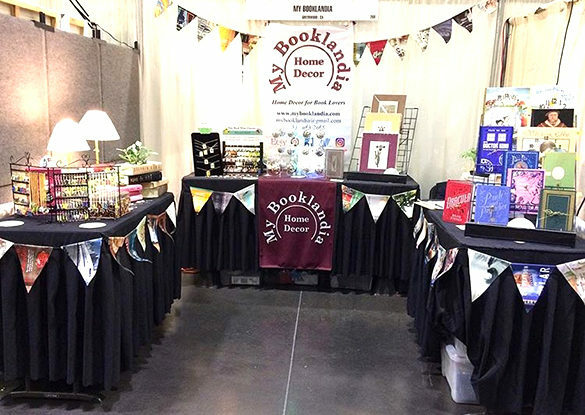 I’m definitely a bookworm so I appreciated My Booklandia’s booth. Because they had a lot of items that would appeal to someone who reads a lot, I spent a long time in this booth. Some of their items were just whimsical and fun. 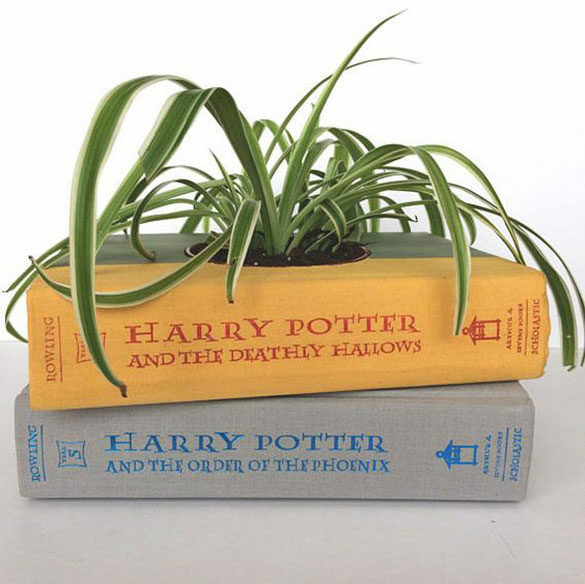 I’m a Harry Potter fan and I love this cute planter thing made up of books. Seriously, how cute is this?! Overall, I really enjoyed my experience at the Sacramento Arts Festival. Furthermore, I was able to take my family and they enjoyed themselves as well. Consequently, I’m definitely going to plan to go next year. 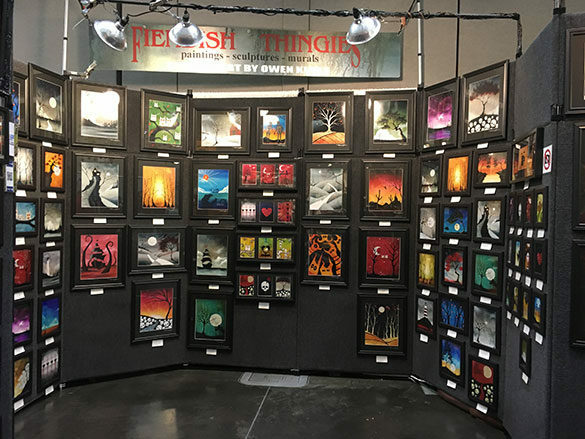 I highly recommend you check out the Sacramento Arts Festival if you get a chance.